Hey Guy’s, looking for best printer under 5000? We spent almost 8 hours of research on various printers and make reviews. Hope It will help you to choose your printer. There are few things to know about printers. If you want the fullest range of colour printing then you should go with Inkjet printer. Another side if you want to print mostly text documents faster then the laser printer is a very good option. Consider Cost per page Whether it’s using ink cartridges or toner, printers cost money over time. 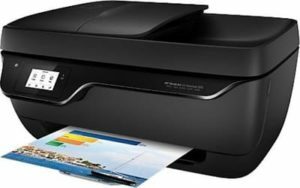 Read our reviews on best printer under 5000. As a brand name of HP does not need any introduction. 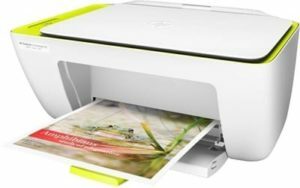 The HP Deskjet Ink advantage 3835 all-in-one wireless printer that allows you to print easily with your smartphone or tablet wirelessly. It is an all in one printer while you can take print, scan, fax and copy from one single machine. The lightweight compact design fits easily anywhere. You can scan and copy bulk of documents with the automatic document feeder. The printer comes with black and White & coloured cartridge. This is first best printer under 5000. Compatible with tri-Colour cartridge ink. Quickly multipage documents copy, scan, and fax. This is again best printer in HP. This wireless HP printer is ideal for your home and office. 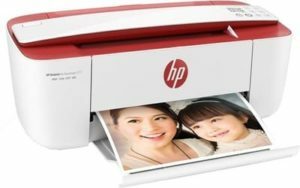 With this printer, you can directly print from your social media using HP snapshots application. The print speed up to 8 ppm black and 5.5 ppm colour. This printer supports wifi hence you can print from mobile, tablet or pc without any cables. Additionally, you can scan file formats like Bitmap, JPEG, PDF, PNG and Rich Text with 600 dpi optimum resolution. 5- 40 Degree C degree C operating temperature range. 2 GB hard disk space available. Wirelessly print, scan and copy. It compatible with iOS and Android devices. Samsung laser printer is suitable for small-medium business and offices. It is a single function printer. It is a faster printer and print 20 pages per minute. 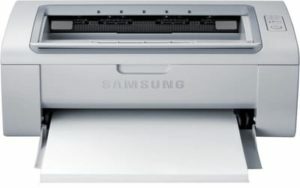 Samsung ML2161 produces 1200 x 1200dpi professional clarity while the print. You can quickly and easily print the contents without any sound. The Samsung SCX-3401 laser printer is a perfect choice for the businessmen. It is single printing printer. Compact with a dust-free design. Easy to move one place to another. Output tray capacity is 100 sheets. Printer clarity is sharp and impressive. Media supports paper, labels, envelopes & cards. The HP printer is safe, helpful and ideal for basic usage. Easily to print, scan, and copy with simple controls. With this all-in-one designed printer which helpful to use print everything from coupons to school projects at a home. It has a flatbed type scanner and maximum resolution is 4800 x 1200 dpi. It’s compact design fit where you need it. The printer provides all kinds of the operating system like window vista, Windows 7, Windows 8, Mac OS and more. It is compatible with 2.0 USB. It has 60 pages of paper capacity. The scanner works exceptionally good. Best print qualities and faster speeds. File formats including such as JPEG, PNG, PDF, BMP and TIFF. 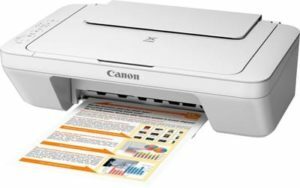 Canon MG2570 Colour Multifunction Inkjet Printer that can execute printing, scanning or copying of document on one machine only. The ISO standard printer print resolution up to 4800X600 dpi and scan resolution is 600X1200dpi. This compact and lightweight printer perfect for your all type of work like print, scan, copy. The printing noise is quite slow. The ink cartridges for this printer is very costly. This printer is work well. It has auto power on/off feature. Scan almost same your original photo. Very good printer with this range.